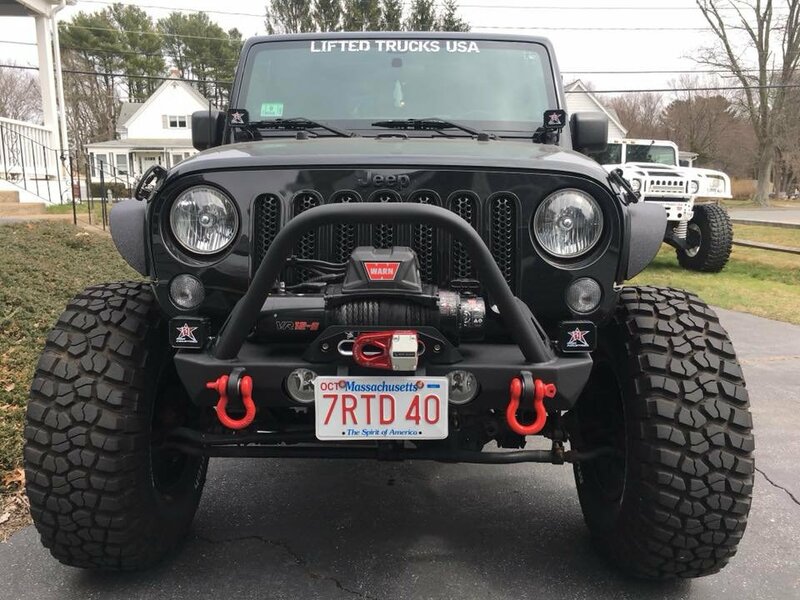 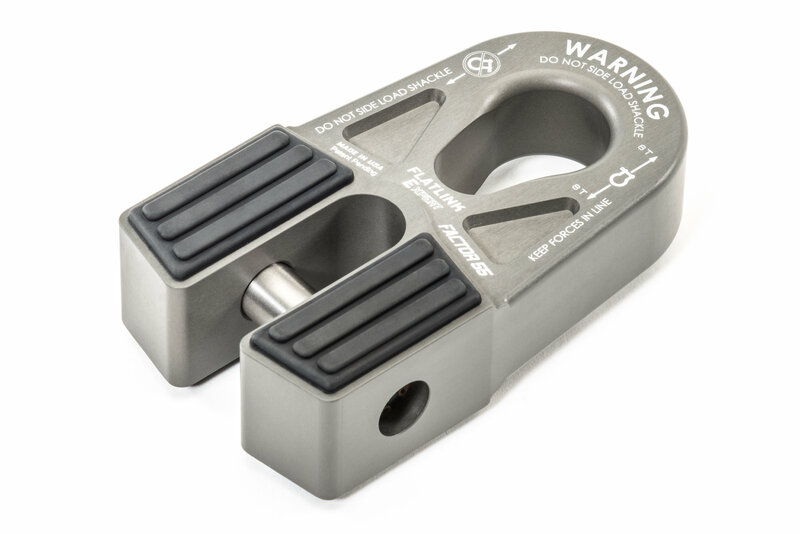 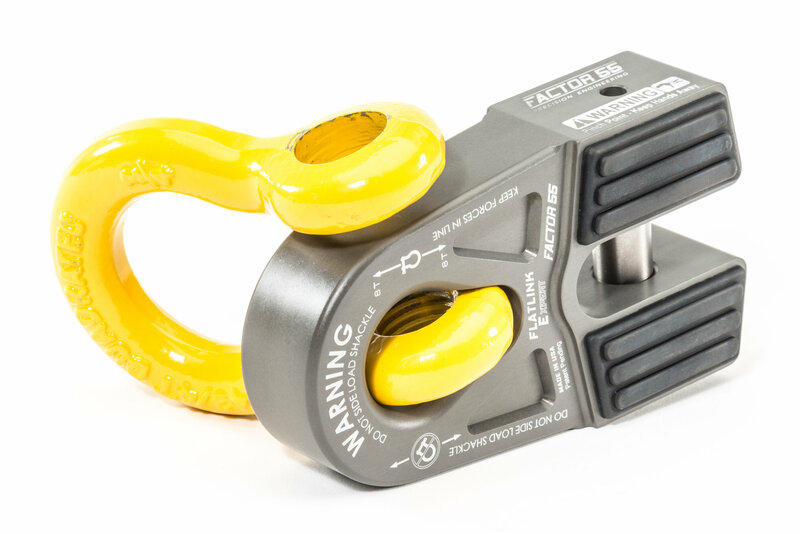 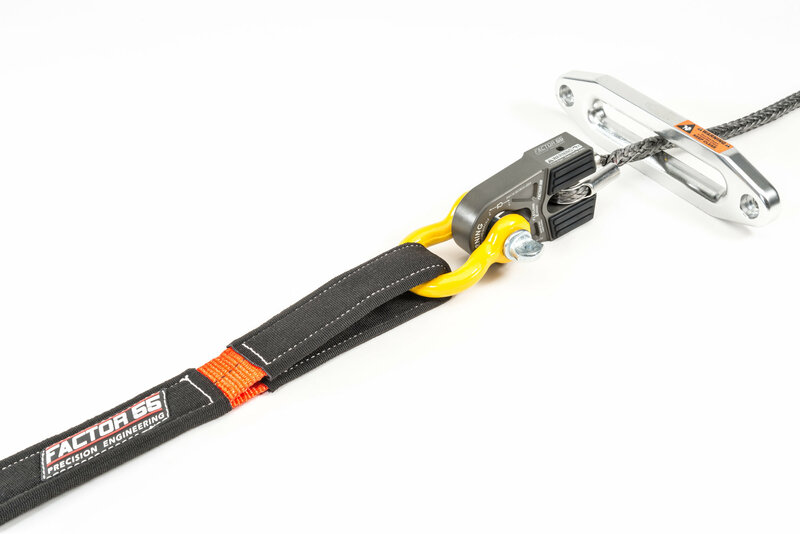 Conventional winch hooks can cut and fray recovery straps and often allow strap ends to escape during momentary slack cycles of a typical winching recovery. 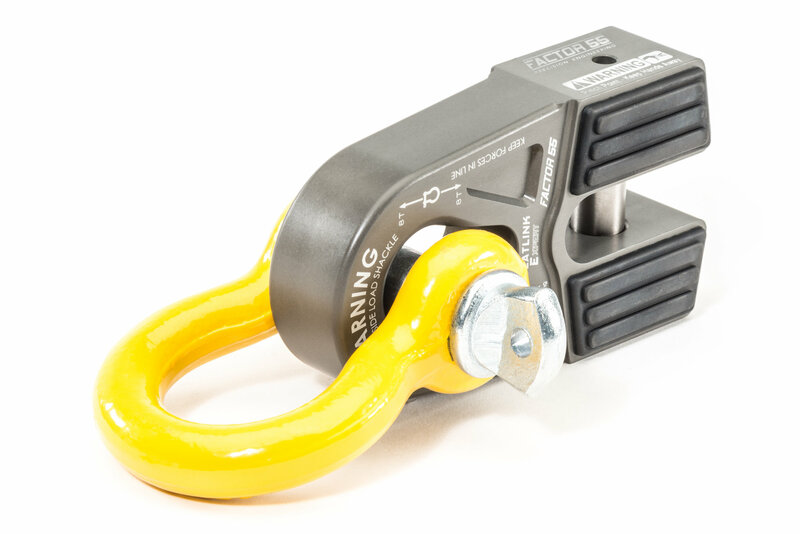 Screw pin shackles do not allow strap loops to escape due to their secure screw pin attachment. 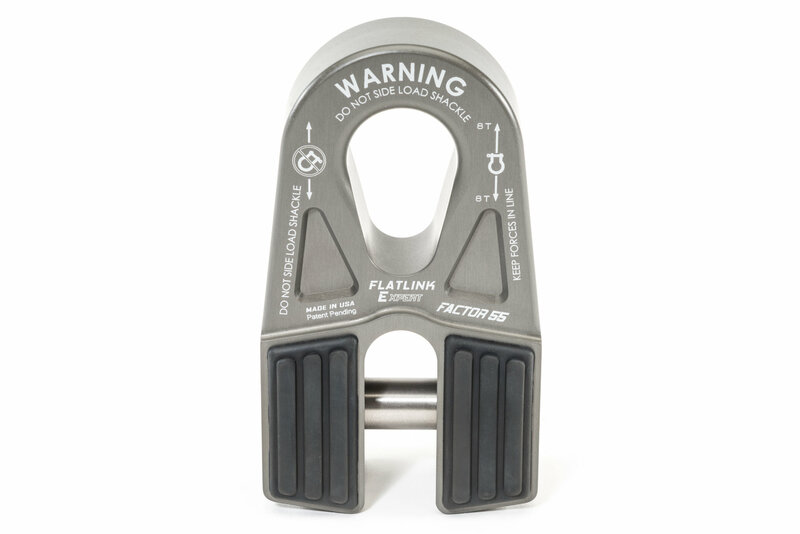 The FlatLink E does not require splicing and is compatible with steel cables or synthetic ropes up to 3/8 inches in diameter. 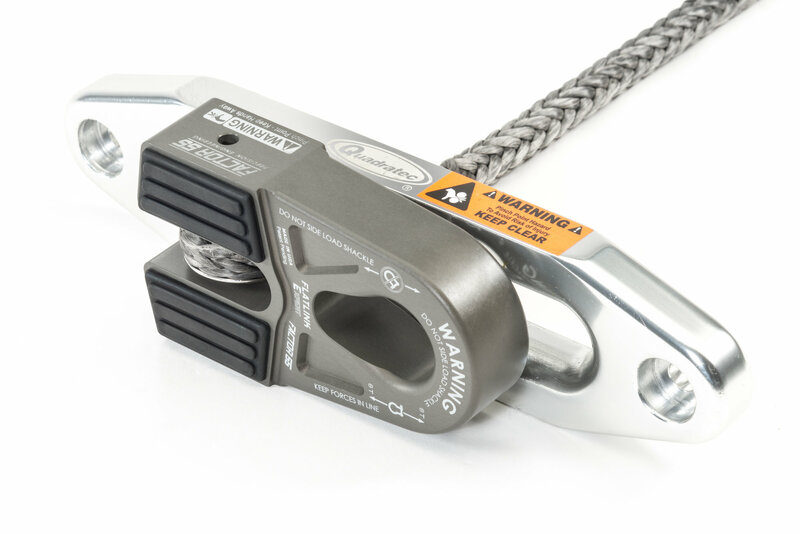 The cable eye is retained in the FlatLink E by a 5/8 inch diameter 6Al4V Titanium double shear pin and internal snap ring. 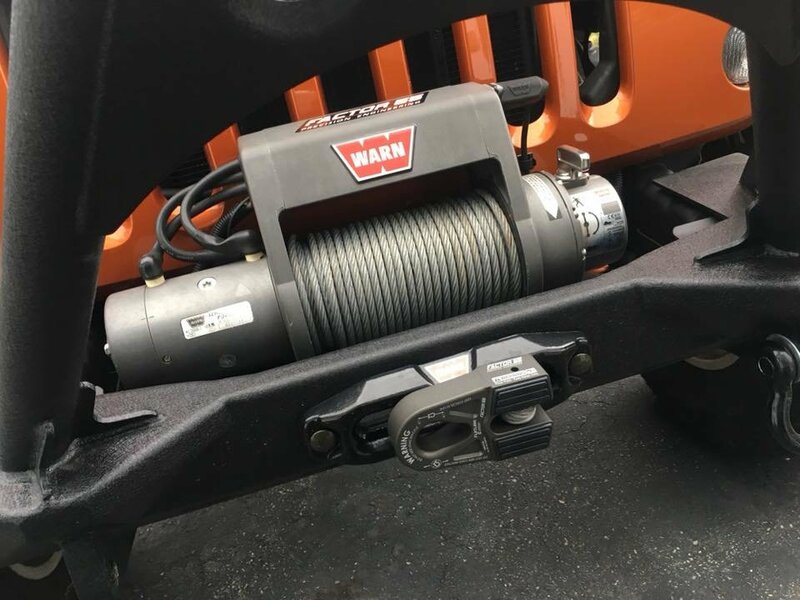 Installation takes only minutes. 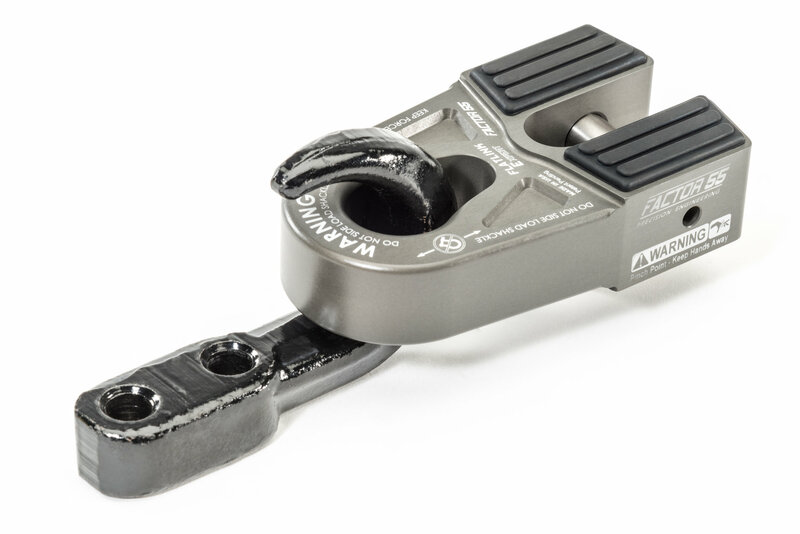 The EPDM Rubber Guards protect alloy fairleads and are securely attached to the FlatLink E with 4 barbed tips each. 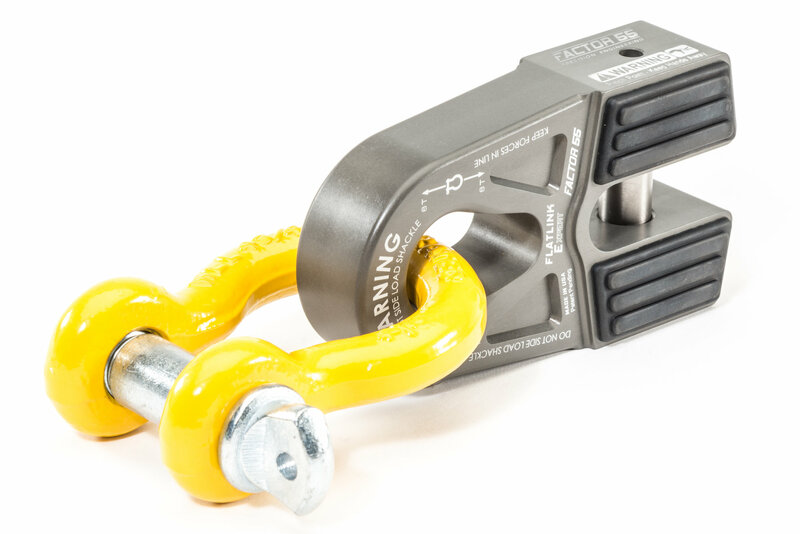 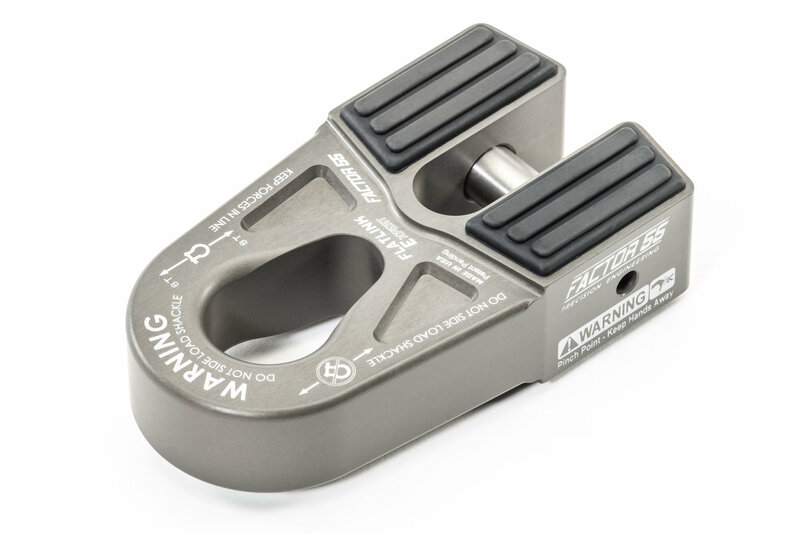 The FlatLink E stows neatly against either roller or Hawse type fairleads and is designed to be used with common 3/4 inch shackles.